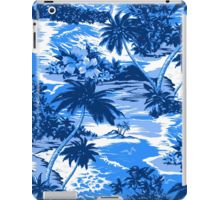 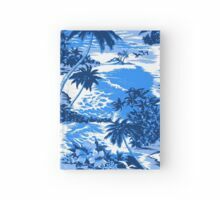 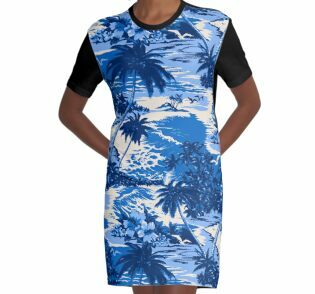 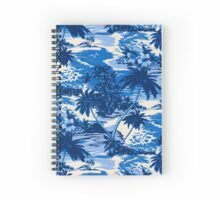 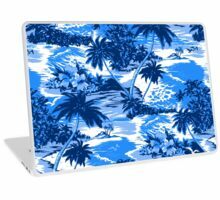 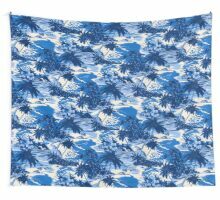 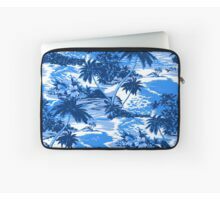 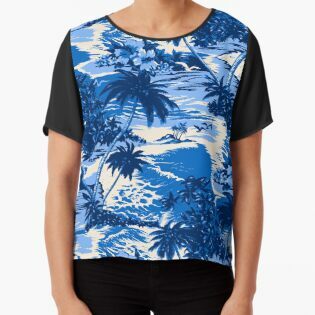 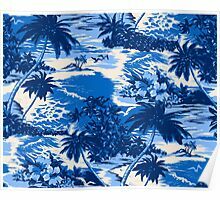 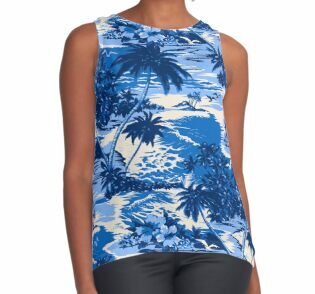 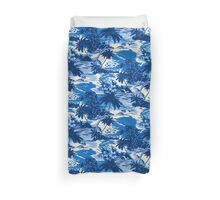 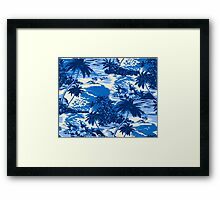 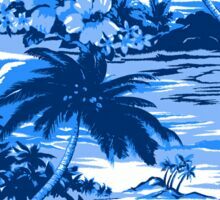 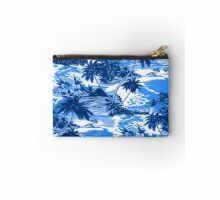 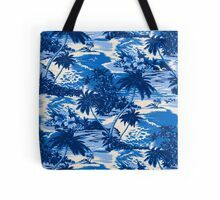 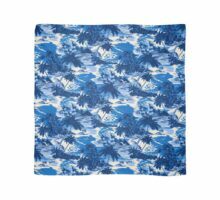 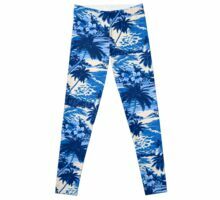 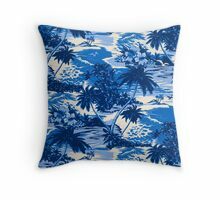 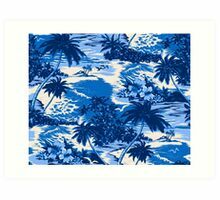 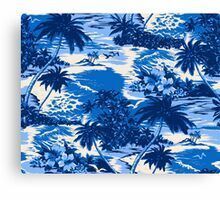 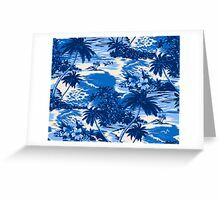 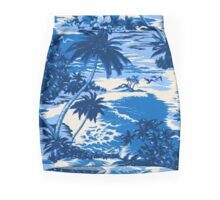 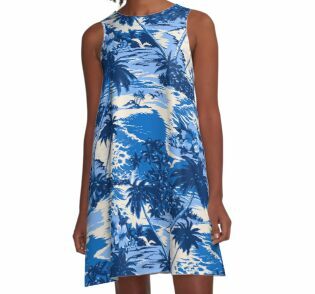 As tropical breezes blow through the palm trees, gentle waves crash on the shore in this scenic Hawaiian textile print of Napili Bay. 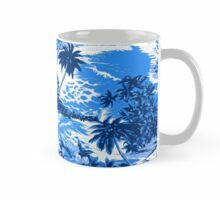 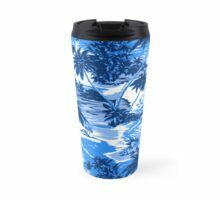 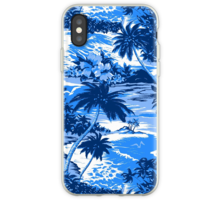 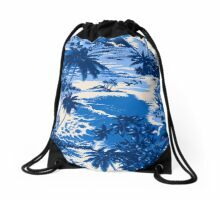 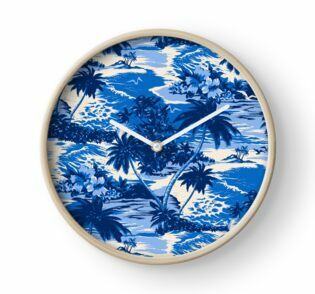 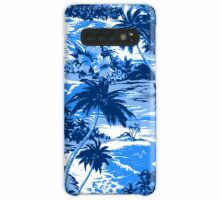 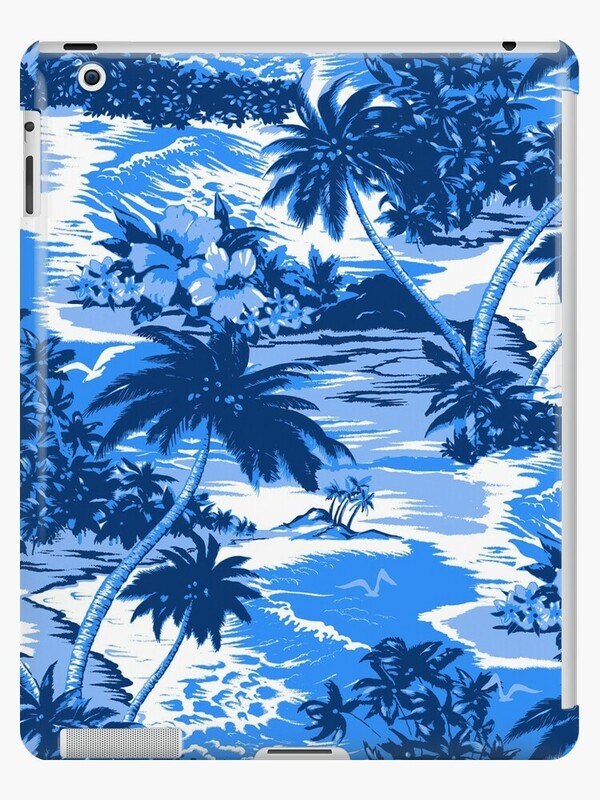 Inspired by the vintage Aloha Shirt designs of the 40’s, 50’s and 60’s. 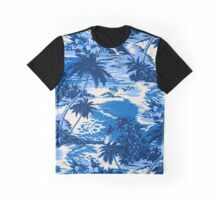 Navy, ocean and sky blues with white colorway. 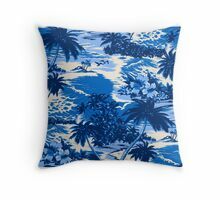 Note: The pillows, totes & duvet have a natural background color- not white.